The $21 bln beverage group’s deal to sell itself to coffee maker Keurig leaves shareholders some 25 pct richer. It’s not the greatest brand. But based on savings achieved in other mergers, Dr Pepper should be able to extract more. Either rivals lack ambition or the company does. 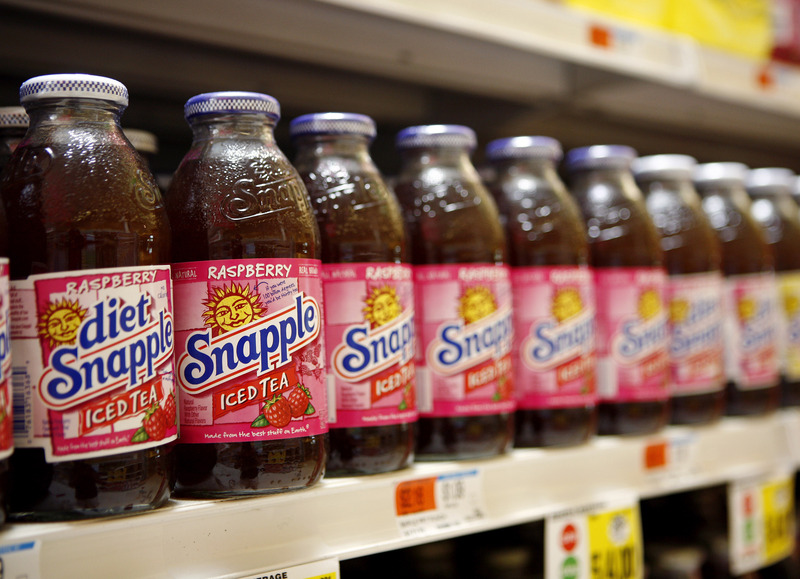 Snapple bottles are seen inside a store in Port Washington, New York May 7, 2008. Dr Pepper shares closed at $117.07 on Jan. 29, an increase of 23 percent on the previous trading day.